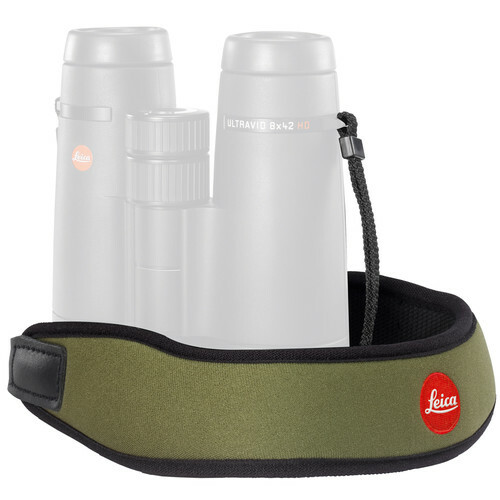 Whether birding, boating, or attending sporting events – the olive green Neoprene Binocular Strap from Leica will keep your binoculars at the ready while helping to reduce fatigue and neck strain. For comfort, the strap features an ergonomically curved, neoprene pad. Users will appreciate the adjustable design. Box Dimensions (LxWxH) 8.6 x 3.6 x 1.4"
Neoprene Binocular Strap (Olive Green) is rated 4.0 out of 5 by 1. Rated 4 out of 5 by Anonymous from High quality replacement strap, but priced too high. I could not give this five starts for the one reason that this item is excessively priced. It is impossible to justify spending over fifty dollars for it. The quality is very good, however, it is definitely an improvement over the original strap provided with the binoculars. Just the same, too spendy.